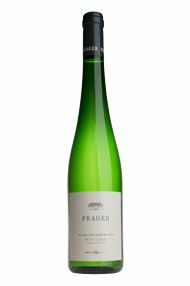 Prager is run by Toni Bodenstein, son-in-law of Franz Prager and one of the most celebrated winemakers in Austria today. Earnest but very likeable, Toni has made a minute geological study of this extraordinary terroir, producing wines which are united by an incredible sense of purity. With lofty intent, the 4.5-hectare Klaus vineyard stands high above the Danube valley, looking down on the sites below. No wonder then that in 2013, it should thrill with racy, high-toned fruit. It struts with fantastic lemon sherbet pulse; so juicy, so pure. For once it seems to have revelled in the cooler, late-harvest vintage, responding with charm. Just check that outrageous saltiness on the finish. This is a very dry wine, with a mere three grams of residual sugar offset by 8.1 grams of natural acidity! Stunning. Drink now to 2028. 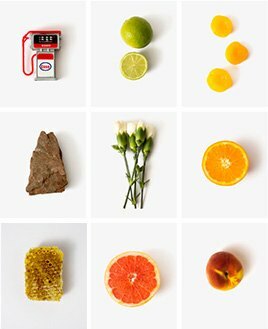 Antonio Galloni - Luscious peach and Mirabelle are significantly marked by their pits as well as by smoky black tea and forest floor notes for a low-toned, dark impression. Sappy and expansive, palpably rich in extract and fundamentally firm, this finishes with piquant concentration and formidable length, a hint of blond tobacco adding welcome, saliva-drawing savor. Weingut Prager is run by Toni Bodenstein, son-in-law of Franz Prager and one of the most celebrated winemakers in Austria today. Toni has run the estate for a number of years now and is the foremost authority in the region on the hugely diverse microclimates across the valley. Earnest but very likeable, he has made a minute geological study of this extraordinary terroir. Southfacing and running down to the Danube, his Achleiten vineyard yields both Grüner Veltliner and Riesling from the top Smaragd classification. In short the wines are incredibly rich but also fresh and crisp. The Grüner Veltliner has a black pepper facet and a steely backbone to frame its feminine charms; the Riesling is farmed from 24 terraces, each one contributing a rich nuance. From the high ground comes the Wachstum Bodenstein Riesling, an undeniably complex beast, perfumed and exotic yet seriously dry and steely; an awakening enigma. With flavours running the gamut and scents of great sensibility, these wines are united by an incredible purity. The sweeping, steep terraces of the Wachau, in Lower Austria, on the northern banks of the Danube, an hours drive west from Vienna, are home to Austrias greatest dry white wines. Here Riesling and Grüner Veltliner excel in producing wines of startling purity and pristine intensity. The climate changes slightly to produce the warmer, richer wines around Dürnstein and Loiben, to steely yet opulent wines around Spitz. Toni Bodenstein of Weingut Prager epitomises the former, whilst Franz and Irmgard Hirtzbergers vineyards are the ultimate expression of the latter. The region uses a unique system of classification to indicate the level of ripeness at harvest. Steinfeder is the lightest, with an alcohol of around 10%, then Federspiel, which must not exceed 12% and finally Smaragd, named after an emerald green lizard found in the vineyards, which are assertive, late-harvested wines, but fermented to dryness.